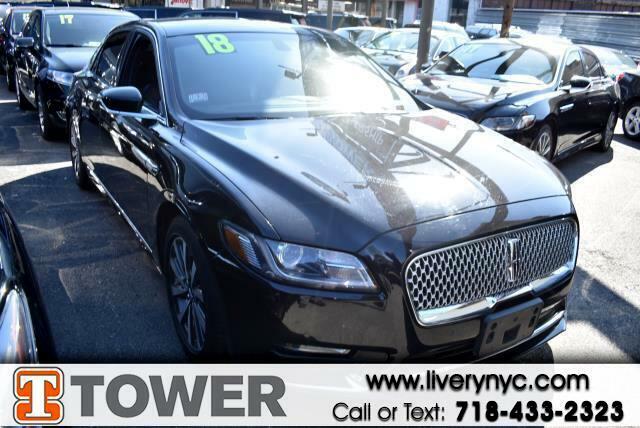 Used 2018 Lincoln Continental Livery AWD for Sale in Long Island City NY 11101 Tower Auto Mall Inc.
Why compromise between fun and function when you can have it all in this 2018 LINCOLN Continental? This Continental has 97730 miles, and it has plenty more to go with you behind the wheel. It includes ample space for all passengers and comes with: heated seats,power seats,rear view camera,navigation,power windows,power locks,blue tooth,mp3 audio input and leather seats Don't risk the regrets. Test drive it today! At Tower Auto Mall, it's all about you and your happiness.